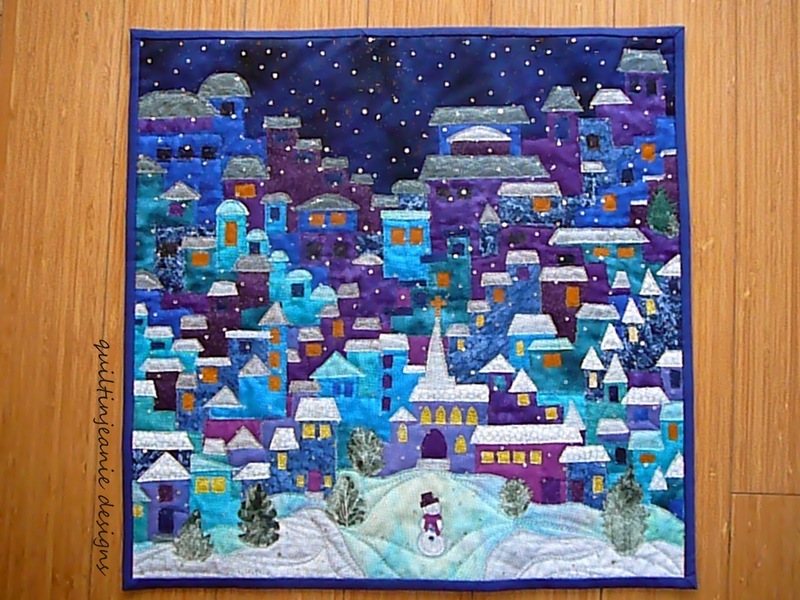 Jean's Quilting Page: Happy Village finish! It's always fun when quilters send me pictures of their finished projects from class. I got this over the weekend from Mary. She made a nighttime Happy Village scene...now I want to make one too! 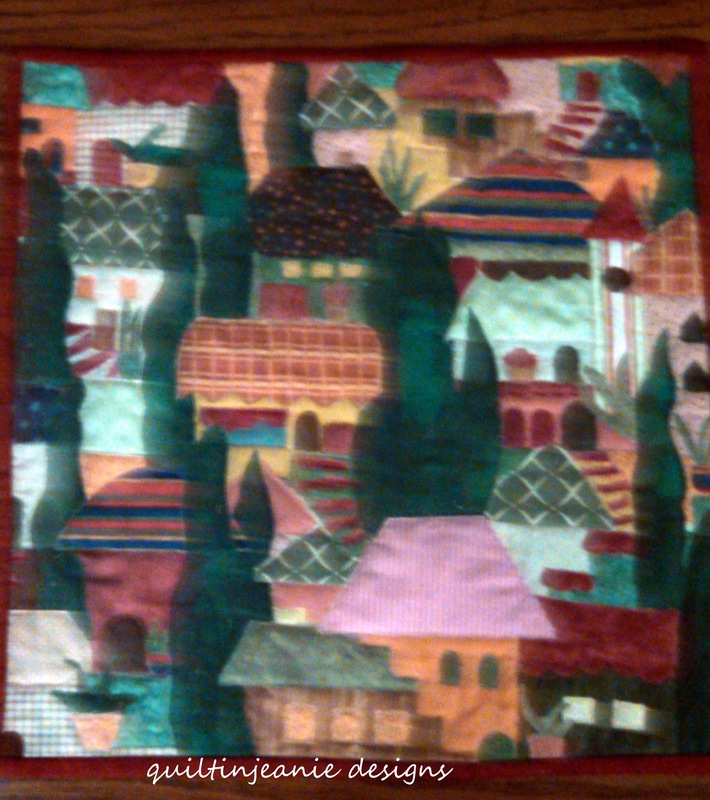 I love that she used lighter colors on the roofs in the front and darker as you look to the back of the village. Very interesting aspects to this one. She used a black tulle with sparkles on it to show snow. Anne finished hers soon after class. It's a bit blurry, but you can see the project during class below. I've seen some other partially finished village pics so hope to see some more finished villages soon! Love the winter village. So many great ideas.